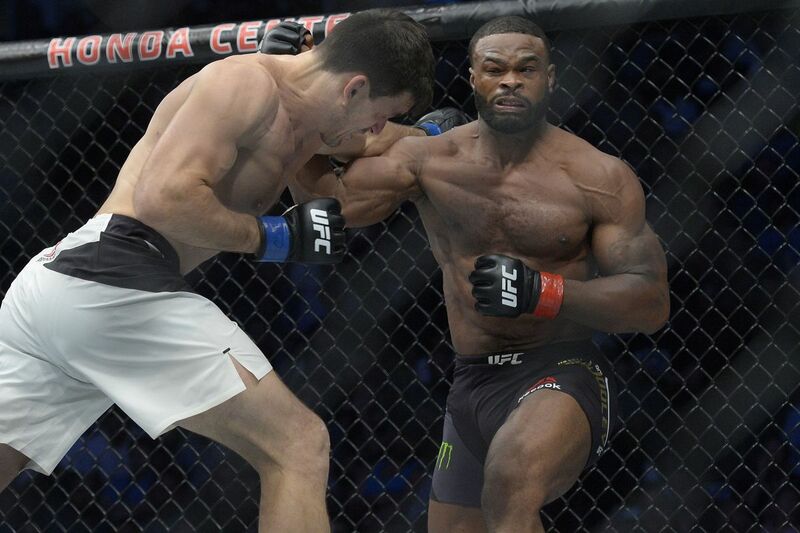 Although Tyron Woodley hasn’t suffered a defeat in the Octagon since UFC 174, he’s currently fighting a battle that he isn’t even close to winning. He walked out of UFC 214 with the title and dominated his bout against Demian Maia, securing a win on his resume, but based on the outcome of the post-fight presser, Woodley took an “L” that he can’t afford to take with fans and UFC leadership. For five rounds Woodley circled and sprawled his way to a win. Maia attempted to use his classic Brazilian Jiu Jitsu-based style to ground the former collegiate wrestler and find a way to submit him, the same thing he did to secure 12 of his 25 professional wins. Woodley wanted none of it, looking to counter off of the takedown attempts, content with keeping the fight standing. According to FightMetric, Woodley stopped 21 of Maia’s takedown attempts while landing 57 of 153 strikes, dropping the Brazilian once. But those stats aren’t the story of the bout. No, it was that fans turned on the fight, chanting “boring” in unison and flashing their cell phones all at once, creating a scene right out of a bad WWE Raw segment. 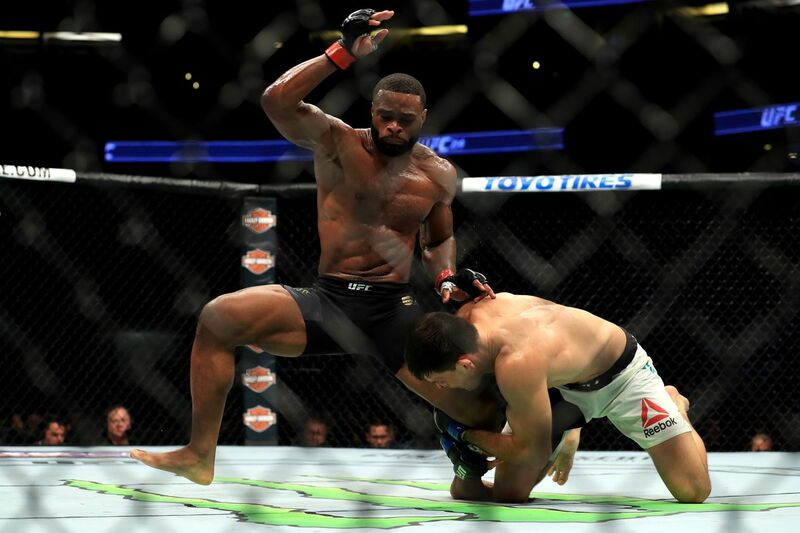 Those chants never shook the champion, as he continued to do exactly what was needed to get the win, but it did affect the leadership behind the matchmaking within the UFC, and that is a fight that Woodley cannot sprawl and muscle his way through. Those “rewards” come in the form of big money-making fights. Woodley has gone on record to say he wants the fights that will draw notoriety and cachet, such as Nick Diaz or Georges St. Pierre. Woodley has even tried to link his name to that of Michael Bisping and Conor McGregor, but to no avail. He hasn’t received those opportunities, and performances such as the one at UFC 214 seem to keep him out of the conversation for them. St. Pierre is reportedly being paired with Bisping in a fight that UFC brass continues to swear that the fans want, but media and public response seem to say otherwise. This comes one week after White stated that GSP would face either Maia or Woodley after UFC 214. Clearly, the organization currently isn’t interested in putting him in those types of fights. On paper, Tyron Woodley did everything he needed to get the win and keep that title belt around his waist. But the outcry after the fact is going to be a compelling story to watch because of its long term implications. He’s losing the leverage to demand major fights, and losing the platform that would allow to be the outspoken champion he’s been in the past. Fans neither want to listen to what he says nor watch him fight, and that’s what the matchmakers in the UFC care about. Woodley’s performance deserves praise because he was able to do something to Maia that no other opponent was able to do, but popular or infamous, a champion is only as valuable as the fans perceive him or her to be. And right now, the value of his stock is tanking. 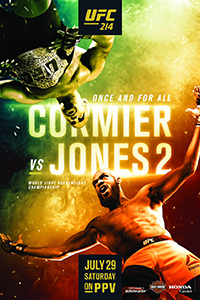 UFC 214: Cormier vs. Jones 2 took place July 29, 2017 at Honda Center in Anaheim, California. Click the stars to rate how good you think UFC 214 was.